We’re already a month into 2019 and it’s been a whirlwind for Packer. 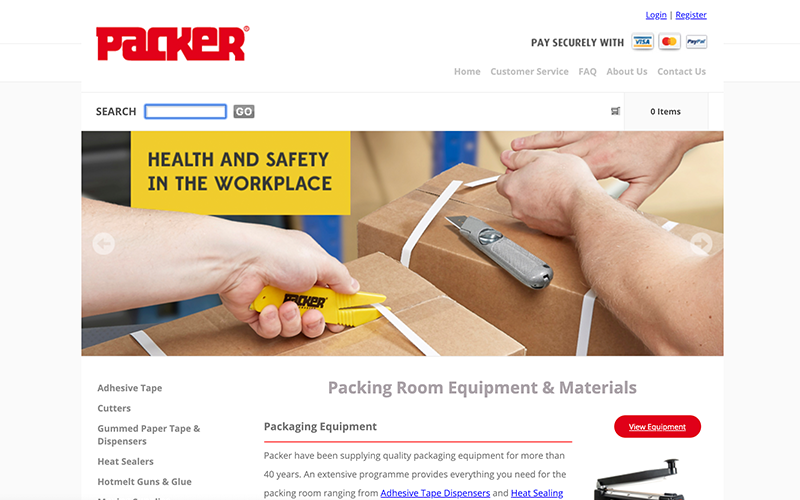 Our in-house team of designers, developers, photographers and copywriters can breathe a sigh of relief – the new Packer website is live! The team have been working behind the scenes for some time making improvements to the design, functionality and usability of the website we launched almost 10 years ago. It was important to us that the website reflected the service and quality of products our customers have come to expect. It’s 2019. We’re not doing anything ground-breaking. A mobile friendly website should be a basic requirement. Our customers are now able to order impulse bag sealers from their smart phone or tablet with relative ease. We’ve taken great care to be as descriptive as possible with our product titles and bullet points to help our customers find exactly what they’re looking for. In addition, we’ve started re-photographing our entire range of products, to better reflect the quality we strive for in both our products and service. The team were clear that they wanted to make changes to the layout and structure of the website, without making it feel alien to long term customers. We’ve moved things around where absolutely necessary, but there should still be a level of familiarity for those who have shopped with us before. Can We Show You Our Brochure? We put a lot of effort into producing documents that help our customers make an educated decision based on their needs, but before now we struggled to give users easy access – we’re excited to say that the packaging machines and equipment that we’ve produced brochures on are now available for download directly on the product pages. Easy. As a company, we’ve always had things we wanted to shout from the rooftops. The launch of our new low cost kraft paper dispensers for example, or the new Packer website launch (oh, you’re here..). Our struggle has always been which rooftop do we shout from? Sure, we could head straight over to Facebook, Twitter or LinkedIn, but those kinds of platforms are saturated with noise – and we want a loving home for our content. So at the same time as redeveloping our eCommerce platform, we took the time to introduce a platform for our news, articles, offers and musings. 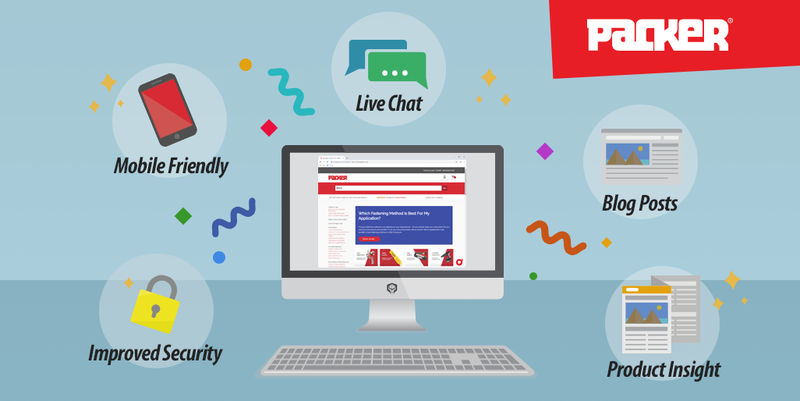 In this day and age, answers need to be instant and they should be effortless to obtain – which is why we’ve integrated brand new live chat software into every page of the website. Have a question about a product you’re looking to order? Have it answered in seconds directly on the page you’re viewing. 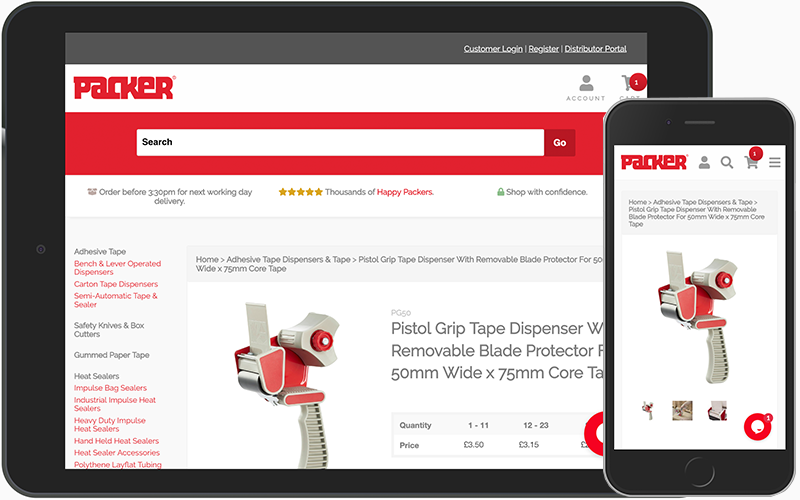 We hope you’ll see the benefits and improvements we’ve tried to build in to the new iteration of the Packer website – if you have any questions, comments or suggestions, feel free to get in touch via phone, email or social media.